In 1889, Dr Gottleib Wilhelm Leitner constructed the first purpose-built mosque in Britain. The Shah Jahan Mosque, located in Woking, Surrey, is replete with intricate design, grand minarets, and bold flourishes across the place of worship. It is currently the only Grade 1 listed mosque in the UK. While it is aesthetically beautiful, the story of how it came to be is just as impressive, a tale reflecting the parallel narratives that different faiths have shared throughout the history of this country. Dr Leitner was a Jewish Hungarian scholar of the languages and culture of India and the Middle East. He came to England to study at King’s College London where, after graduation, he was appointed Professor of Arabic and Muslim Law. Following his success in this posting, Dr Leitner became Principal of Government College University in pre-partition India, in an area that is now Pakistan. In 1881, he returned to England in order to open a centre dedicated to the study of his field of expertise: the languages and culture of Indian and the Middle East. Dr Leitner enlisted the architect William Isaac Chambers to design the building. Chambers turned to Middle East architecture for inspiration, incorporating minarets, a dome and a large courtyard into the mosque. Dr Leitner decided to name the mosque for Shah Jahan, Begum of Bhopal, an Indian Sultan who funded much of the project. Shah Jahan was one of four successive woman rulers of the state of Bhopal between 1819 and 1926. In the ensuing decades, the mosque survived the death of its founder, World War I and II, and a number of closures and renovations. These incredible photos not only tell the story of The Shah Jahan Mosque, but a wider tale of religious history, British culture, community cooperation and understanding. Given the events we read about in the news, you’d be forgiven for thinking the current era is a simple reflection of a deeply entrenched history of division. But this is not the case. The Shah Jahan Mosque is a centuries old example of our commonality. 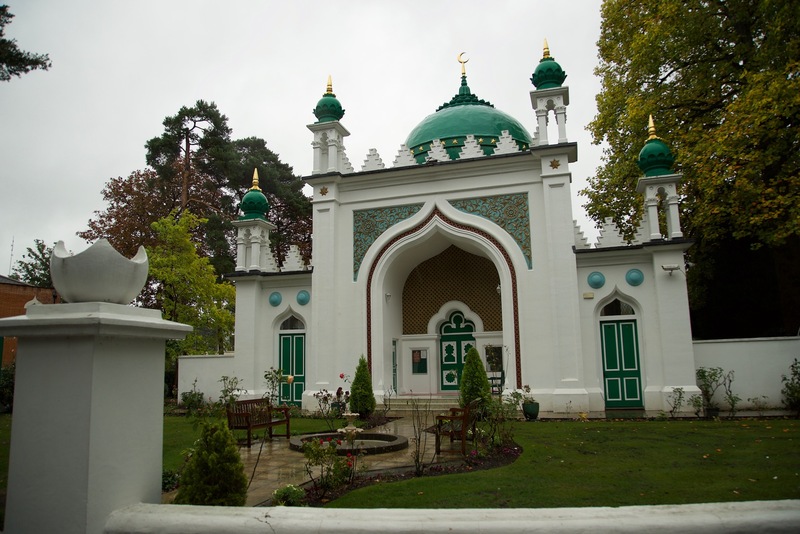 An Islamic place of worship created by a Jewish Hungarian, funded by a female Sultan, located in a leafy suburb, and frequented by everyone from Muslim members of Queen Victoria’s household to famous convert Lord Headley. The only thing that makes it more British is the fact is Grade 1 listed.